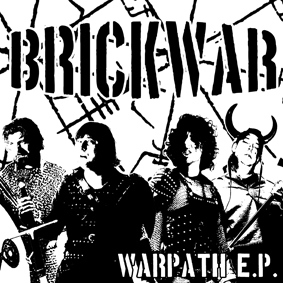 BRICKWAR Double 7” on Savage Records! King Louie (Persuaders/tons more) + Julian Fried (Black Rose Band/Missing Monuments) + Jerry Macgillicuddy (Black Rose Band/Macgillicuddys) + Paul Rotzz (Die Rotzz/Kajun SS) make up Brickwar, a shortlived precursor to the current MISSING MONUMENTS. With trademark King Louie hooks, swagger and soul but darker and harder. Think Persuaders, Lost Sounds. AMAZING!! !